Marqués de Riscal is a traditional producer with over 150 years of history. 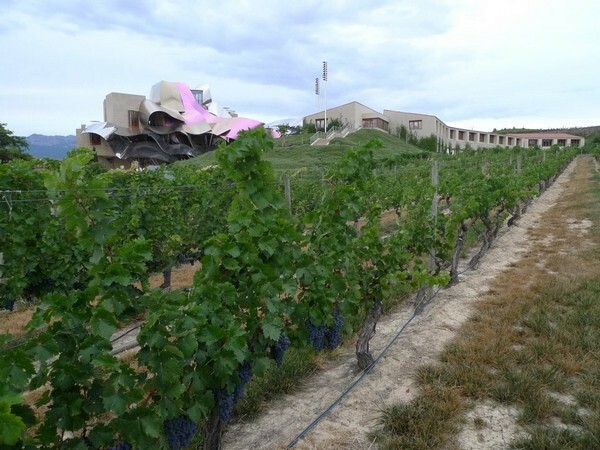 In 2006, the “City of Wine” is launched, it is a project designed by Canadian architect, Frank Gehry. 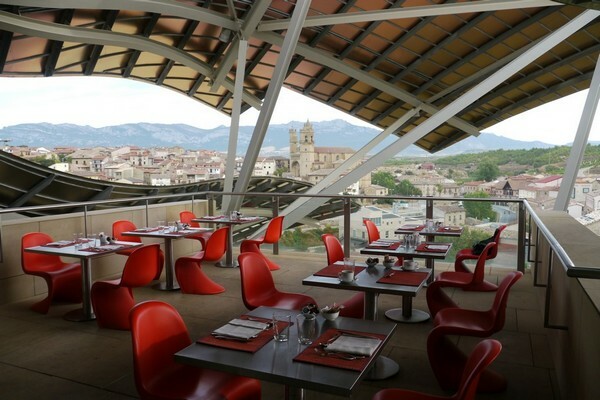 The “City of Wine” complex comprises the original winery, new winery, luxury hotel, restaurant and wine spa. The architecture is infused with the colors of Marqués de Riscal: pink for the colour of the wine, gold for the mesh wire surrounding the bottle and silver for the foil of the bottle. Marqués de Riscal is located in Elciego of Rioja Alavesa, vineyards stretch across approximately 1,300 hectares. 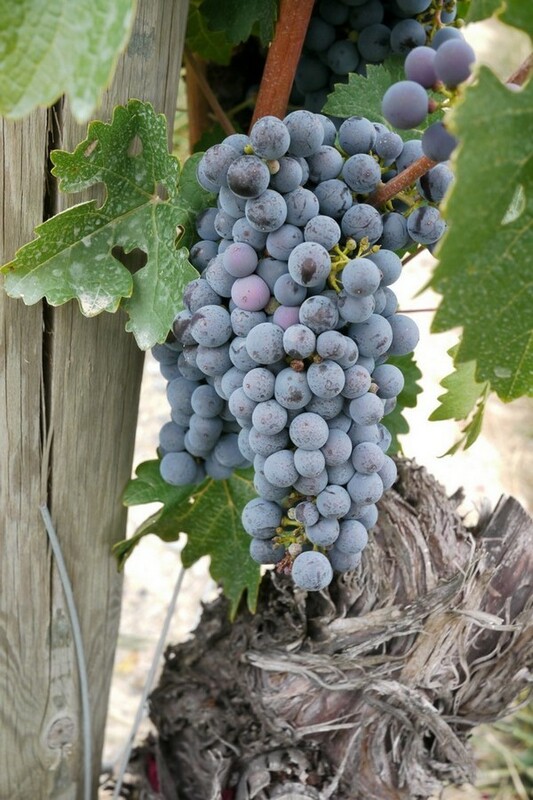 The grapes planted are Tempranillo, Graciano, Mazuelo and Cabernet Sauvignon and are grown on clay limestone of Rioja Alavesa. Marqués de Riscal has another winery in Rueda, making wines from Verdejo, Viura and Sauvignon Blanc. Marqués de Riscal invested heavy in the winery and it is the first winery in Spain to install sorting tables for manual selection of grapes for used in their best wines. Marqués de Riscal makes a range of wines from Rioja, Rueda and Catilla Y León. The wines from Rueda is mainly from Verdejo grapes, producing fresh and aromatic wines which are great to enjoy over a meal, one could easily mistake this grape with Sauvignon Blanc but Verdejo definitely can make great white wines in different styles. The Reserva and Gran Reserva from Rioja are classic in style, using American oak for aging, showing ripe fruits, sweet spice and aged complexity. 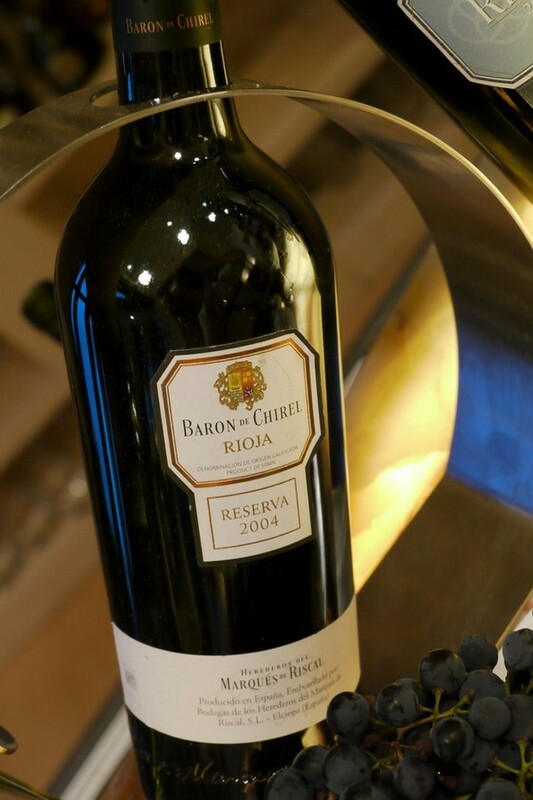 The top wine Baron de Chirel Reserva uses Tempranillo as well as some of the oldest Cabernet Sauvignon planting in Rioja, this wine is classy, full body with luscious fruits and balancing acidity. It is wonderful to see that Marqués de Riscal is cherishing its ancient heritage while looking forward into the future.